Natural Beauty Addict: Oily Skin care routine that actually works!!!! For a long long time I have been trying to manage my oily skin, i have tried an endless amount of products ranging from £ to ££££. I have spent many hours researching what i can do from home made masks, bases, gels, everything to no avail. Until last week I devised myself a skin care routine only for my pores as i had found a few things that worked so decided to mix them together as a little routine for two weeks. Not only are my pores disappearing before my eyes, my skin is less oily, tone is more even, white heads are vanishing and blackheads which i use to get every week and wouldnt go for months are not only going but new ones are not appearing. This routine works for me and i dont think ill be quitting it any time soon. Now before this my skin use to get oily within 30 minutes of makeup, and look like an oil slick by th end of the day. It was disgusting, made me feel horrible and icky, and it made me break out majorly. Now my skin does not get oily, but has a more comfortable moisturised sheen that looks good, and it doesnt get like an oil slick even if i have been at uni 10 hours!!! Now thats what i call an improvement!!! But i should mention whilst ive been doing this i have increased my water uptake by about 4 glasses, but its only 8 glasses a day so your average really. Anyway pasted below is my skin care routine; i will go through the individual products after. a couple years ago i had the worst acne breakout of my life. FACE = SMALL POCKS .... seriously... i blame the exam + period = not good! anway i switched to this facewash, its just brilll.. i think ive done a review on it ,... anyway its good for all skin types not particularly oily,, but it does me good! oily skin can get dehydrated wich exaberrates the sebaceous glands, so dont over do it with the anti - oil products. I wouldnt call it cheap , but it lasts me ages, 1 squirt of this goes a long way!!! I usually buy mine from amazon as they have good deals. This is a creation of my own making, i kinda just mixed it up because i knew lemon was good for oily/congested skin types and so was rosemary. i think this is the main miracle for my routine. It makes me feel refreshed, clean, and i know its working under my moisturiser throughout the day against bacteria, and oil. Got to love it! Recipe: mix 5- 7 drops of each essential oil in 200 ml of water and 50ml of glycerin. Put in a bottle, preferably a dark one to protect from uv light. Shake before each use, dab on cotton wool, swipe gently over face. I bought the essential oils from http://enaissance.co.uk/ Its a great website with lots of natural stuff for good prices. They also do 3 for 4 deal on essential and carrier oils so its SUPER! 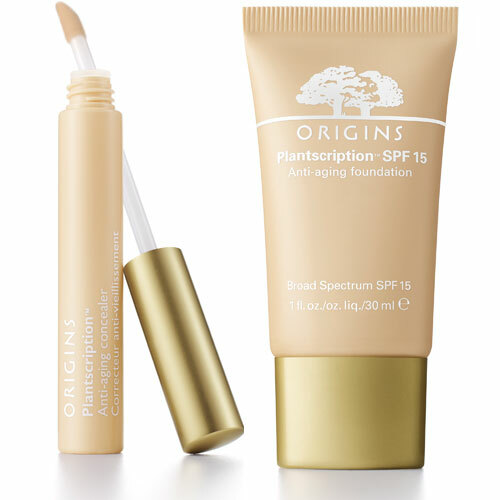 i mix this with my mosituriser as it kind of acts like a natural primer under makeup and without makeup too. It attracts water molecules to hydrate and plump the skin up and ready it for any moisture. its anti-bacterial and anti-inflammatory action helps fight against any spots that might be forming in you skin without you knowing!!! Also helps keep me oil free for longer. I buy mine from holland and barrets when they have a penny sale on so i buy 1 and get 1 for a penny. Not to shabby! Anyway theyre about 200ml for £5.99 originally, but in the sale i get 2 for £6. It tends to last about 2-3 months so its not bad. I buy this form holland and barretts too. Im using this mosituriser right now as you get alot in the bottle, and you only need a tiny squirt. Its a 125ml bottle for £8.39. IT Might be alot , but ive looked around theres nothing better at this price. It doesnt make me oily, ok at moisturising, but it doesnt break me out, so thats good enough for me. I have tried a better one but it has its cons, ill emntion it below anyway. But nelsons pure and balacning moisturiser will do for now. Moisturises your skin, reduces skin impurities and enables swifter recovery from inflammation. Antibacterial essences of peppermint, sage and rosemary, combined with zinc lactate in a special recipe to encourage normalisation of the skin. Mild fruit acids regulate tallow production, giving a fine and smooth complexion. This antiseptic moisturising gel contains precious sage and rosemary water to give your skin silky smoothness. Now i use witch hazel along with my rosemary and lemon toner because this is more of a lceansing toner ,wehereas the lemon and rose is more of a protective, hydrating toner. Witch hazel is another critical ingredient in my routine, since you can see the difference with this straight away. Skin looks so clean after this its amazing, it has an astringent effec allowing it to clean and tighten pores. Nothing can shrink pores, but you can minimze the look of them, and this does exactly that. It prevents balckheads and cleanses deep down. I brought mine from http://enaissance.co.uk/. They do different size bottles at a range of prices. generally the bigger the bottle the better value for money. I bought 500ml for £7.76 .. its really worth the price. The powders for the face masks you can buy at http://www.ferobeauty.com/ They do good prices on facial powders, makeup brushes , and acessories. i bought a range of facial powders about 2-3 years ago, under £30 and ive still got alot to go! The sugar is a bit harsh for face skin and essential oils can irritate your skin really bad. I wrote a post about oily skin care if you are interested.